Menulog is Australia’s largest online food ordering platform, offering you the widest variety of delicious foods to discover, and have delivered straight to your door. We’ve been in the business of food delivery for more than 10 years, and since then, have grown the Menulog network to more than 8,500 restaurants across the country, offering over 130 different cuisines. Through our easy-to-navigate app or site, you can effortlessly find and order whatever you feel like, wherever you are, at the touch of a button. Whether it’s beating the queue at your favourite local cafe, having lunch delivered at work or opting for a quick and easy dinner, Menulog has you covered. Menulog is owned and operated by Just Eat. All prices shown on the menulog.com.au website are in Australian Dollars and all transactions will be billed in Australian Dollars. Our shareholders are experienced in building and owning online hospitality websites that provide customers with a unique user experience. Therefore, if you are unhappy with the service we have given you, we want to know about it. 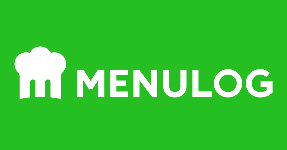 Please email us at enquiries@menulog.com and give us your feedback.